Why Choose the Ceramic Rings? 1、Ceramic Rings is becoming more and more popular over the past couple of years. The sleek and shiny, modern, high-tech look attracts many people who want something eye-catching. 2、The Ceramic is an extremely hard, light weight non-metallic material, as well as the high scratch resistance. 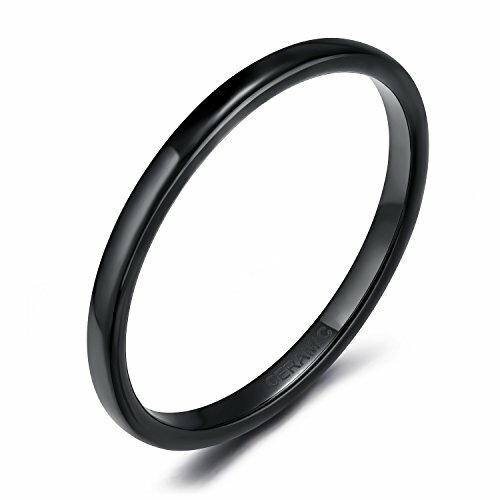 3、For Black color, black ceramic is true black color, but the tungsten is given a black, not a natural color. 4、The reasonable price, ceramic rings are very affordable in comparison to rings made from gold, platinum, and other traditional materials, Yet, unlike most other inexpensive jewelry options, ceramic is high quality and long lasting, making it an excellent value.